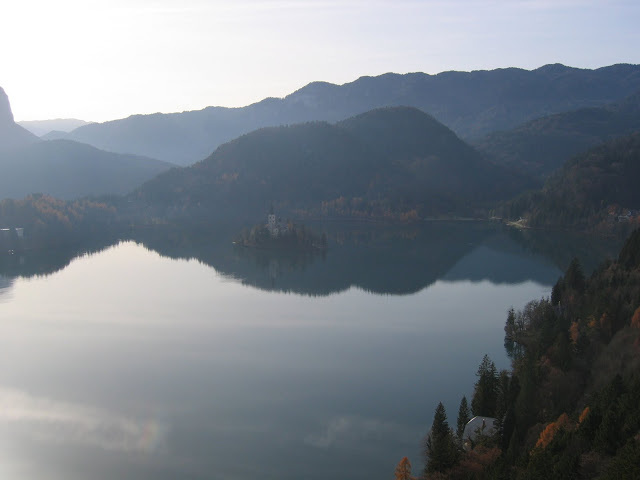 Just over an hour on a bus from Ljubljana is Bled a beautiful town by a huge lake in the Julian Alps. This is Slovenia’s number one tourist destination and can apparently get pretty crowded in summer. In November though I pretty much had the whole place to myself. 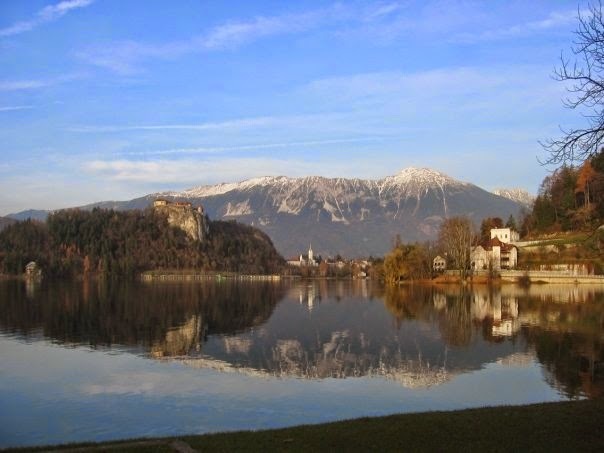 Overlooking the town and lake is Bled Castle which offers amazing panoramic views of the whole area. 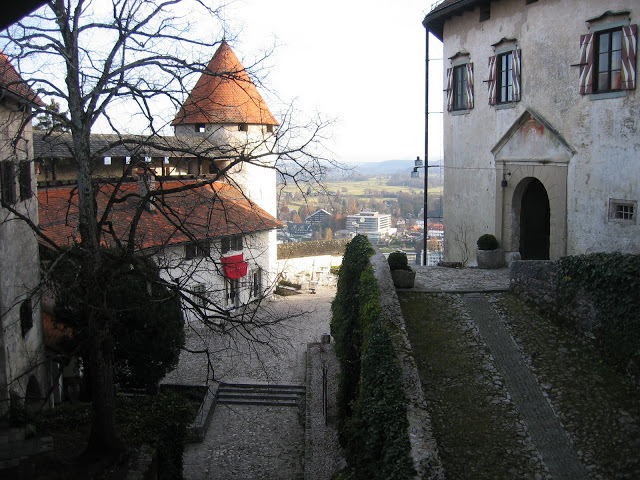 The castle itself boasts a Print Museum, wine cellar, herbal gallery, restaurant and comprehensive Museum. The Museum details the history of the area as far back as the Ice Age. The most interesting period of local history is when the Swiss healer Arnold Rikli founded a world famous spa resort there in the mid 19th Century. The spa proved especially popular with the wealthy and a number of villas and hotels were built around the lake as people flocked to be treated by Rikli. 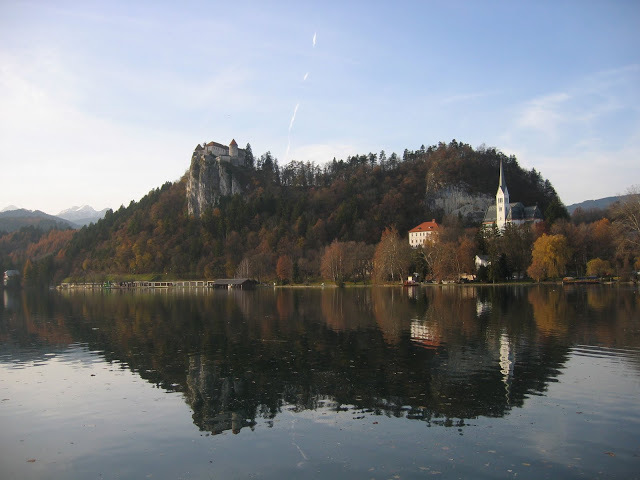 His techniques were based on exposing the naked body to water and air and were largely opposed by the Slovenian medical community at the time. He apparently cured himself of a serious illness using his own methods on more than one occasion. The other major sight in Bled is the Lectar Inn Museum which produces Gingerbread from honey dough in a old skool traditional way. Sadly this only happens during the summer so I didn’t get to buy any for my mum. 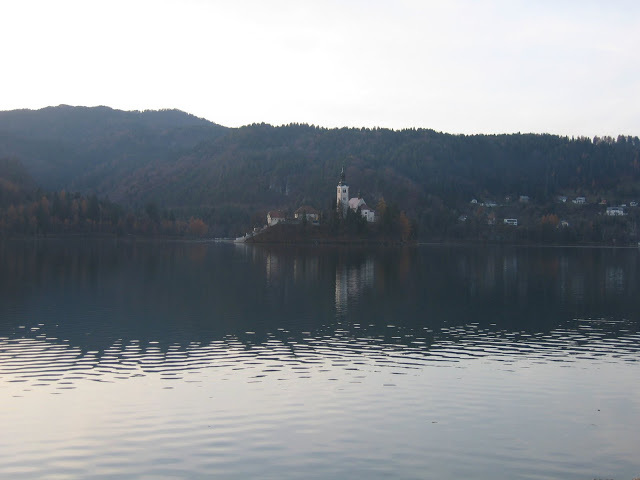 In the centre of the lake is the Church of the Assumption on a small island. You can catch a gondola across to the island or swim for it if you’re feeling really brave. The church has a bell which apparently brings you good luck if you ring it. This church is apparently very popular for Slovenian weddings. Whilst in Slovenia I was based in Ljubljana.